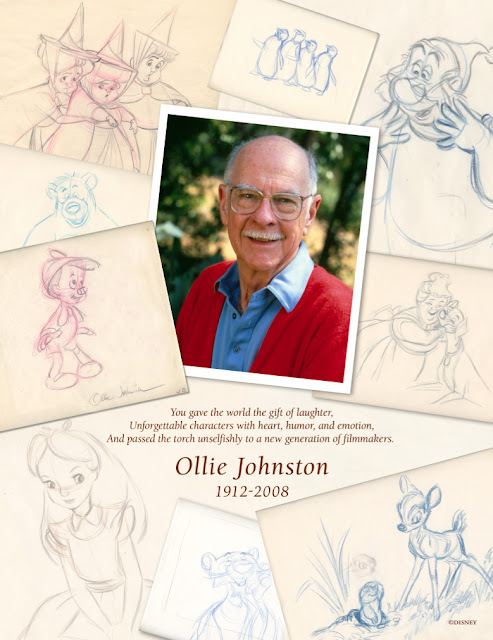 The above image appeared in the trade papers when Ollie passed on, I was a little involved in designing this page. 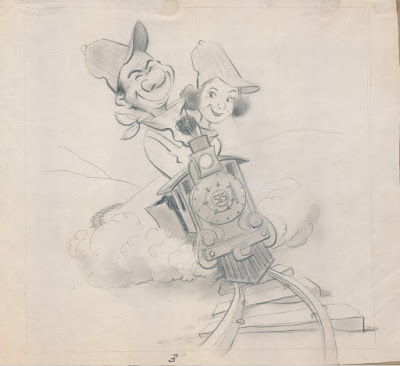 As a train enthusiast Ollie drew this funny self portrait next to his lovely wife Marie. A field day to the Johnston residence, which involved riding his train. 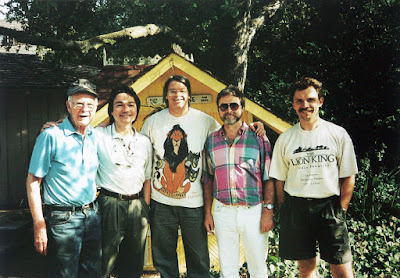 Ollie, Andy Gaskill, Steve Fiott (publisher of Storyboard Magazine), Hans Bacher and yours truly. 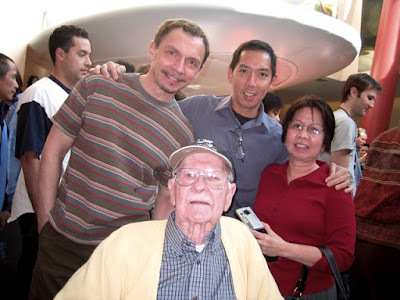 There was a party celebrating Ollie's 90th birthday at Disney Feature Animation. Next to me is Ed Oboza, Ollie's dedicated house keeper, and of course the one and only!